Jim Wehr | The College Funding Coach Jim Wehr | Paying for college without jeopardizing your retirement! Jim Wehr graduated from Georgetown University in 1978 and began a career in the financial services industry that same year. 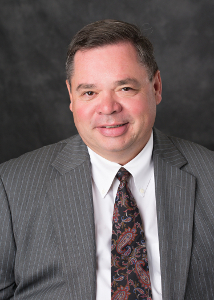 He is the Past president of the Leaders Club of Washington and is a member of the Greater Washington Association of Insurance and Financial Advisors, The Society of Financial Services Professionals, The Accountants Society of Virginia, and the Potomac Business Alliance. Jim is active in charitable causes. Currently he is the President and Chairman of the Board of Loudoun County Habitat for Humanity. Jim and his wife Sandy, along with their three sons, Michael, Danny & Jack, live in Hamilton, Virginia. They currently have two sons at the University of Mary Washington in Fredericksburg, Virginia. Jim enjoys fishing, watching his sons play Rugby, and has a passion for classic cars. He is currently building a replica of a 1965 Ford Cobra in his garage. Jim is located in our Lansdowne, Virginia office, and can be reached by phone at (703) 729-8337 or via e-mail at jwehr@thecollegefundingcoach.org.